Another year is already behind. And it is a time to look back to sum up 2018 and make plans, set up goals and create New Year’s resolutions for 2019. Probably among the most significant events for every marketer regardless of the company, industry and country in 2018 were implementation of GDPR regulation that made a stir among EU businesses, changes in Facebook news feed algorithm that made harder for companies to reach their followers without using advertising, Facebook data breach and as a result, Facebook usage has been dropped in 2018 by 5% (from 67% in 2017 to 62% in 2018) and social media usage in general by 3% (from 80% in 2017 to 77% in 2018). However, on the other hand, Internet penetration in 2018 continued to grow (about +3.5% in June 2018 in compare with the same period last year), that opened new potential markets for online businesses. Despite the foregoing, for everyone last year was full of their own challenges, successes and failures. At a time when competition is getting stronger and customers more demanding, every manager tries to build the most effective marketing strategy. 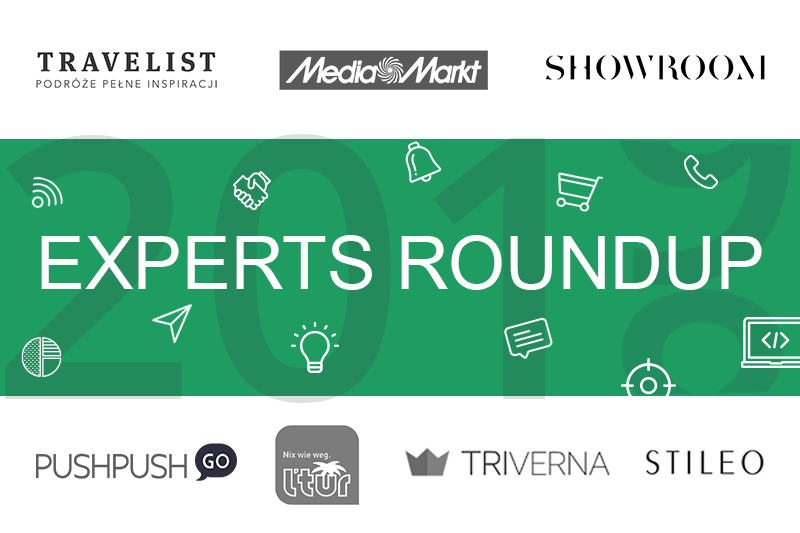 We rounded up market experts that, in addition, are also our clients and work in different industries (ecommerce, travel) to ask them about their experience in 2018 and plans for 2019. 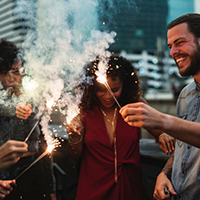 How do you sum up 2018 for your business? Can you share what was great and what disappointed you? Which strategies/ideas/tools would you like to use in 2019? What role did web push notifications play in your Marketing Strategy in 2018? Which ideas would you like to test next year? Check it out what we got in the result. 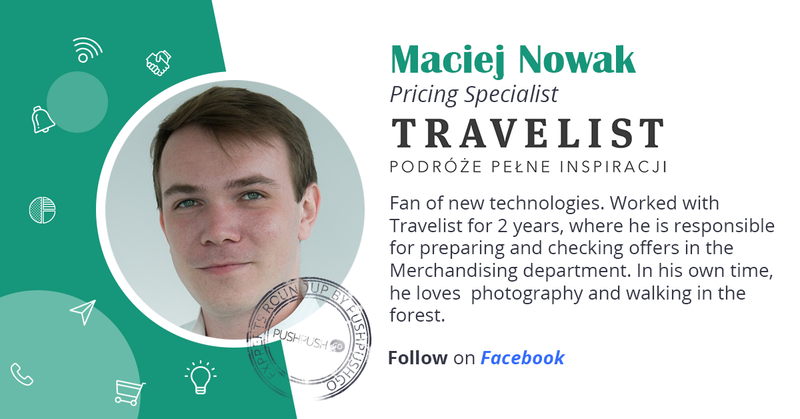 We hope you will find a lot of useful ideas and inspiration on how to improve the online presence of your business and make 2019 a year of success. In the article, you will also find a small bonus from PushPushGo - a detailed summary of the year, which was prepared by Joanna Worotyńska! Thanks to the capabilities of automatic campaigns, we have the ability to tag users according to their activity, and send highly-targeted campaigns to increase the effectiveness of the notification. This is especially visible in my industry - travel. Why send information about super-promotion on holiday to a user who has already bought a stay for these dates? 2018 was a challenging year. We started to take benefit of the more advanced possibilities offered by the PPG panel, including ABX and automation tests. Our goal was to maintain a continuous increase in the number of users in the database while maximizing the notification potential. We were also looking for new ways to increase the click-through rate of push notifications. It turned out to be a good idea to customize the appearance of notifications for a more user-friendly experience for subscribers, i.e. by styling web push notification as a message or by using non-standard content. A short notification with the presented value worked better than a typical sales or promotional notification. In each notification we tried to include as much information as possible as well as CTA (Call To Action), e.g. we placed discounts on graphics and CTA on the action button, USP was added in the form of badges. Campaigns created exclusively for push notifications turned out to be an effective solution. Separation of "push" communication from mailing and other transmission channels showed real benefits available only to a small group of recipients. Web push notifications are really simple and intuitive. Initially, we tried to divide the user base as much as possible in terms of the devices and browsers they use, so that they would receive 100% compliant notifications. For the purpose of optimization (see the preparation of graphics), we decided not to do so - as a standard we adopted Google Chrome requirements, such as the dimensions of graphics. Notifications were still sent to the whole database, and the device/viewer adapted them according to their requirements. Web push notification is a good tool to generate traffic on the website; however, automation has proved to be perfect, it allowed us to redirect native traffic to selected offers. We have noted (in the CTR and in the subscriber’s database) a positive attitude of recipients towards this form of notification - in order to "fall into" the path of automation, the user must first interact with the website, and thus - is less surprised that he receives the notification. We simply take advantage of the fact that the user has shown interest in our content. A big disappointment turned out to be the issues of the browsers themselves. We have no influence on the time in which the message will be displayed. That's why we asked ourselves questions for each campaign with time communication of fewer than 48 hours: "What if someone receives a push notification after that time? ", "How many people may be affected by this? In order to be fair to users, we started to use this type of communication only during the biggest marketing actions. After this year's update of Google Chrome browser, which introduced support for the action center and notifications in Windows 10, and thus, changing the appearance of the pushes themselves (reduced icon, graphics with different proportions) and making it easier to unsubscribe from the list and block all notifications, it will be solutions focused on automation. We don't want to spam people - all the time I have a memory in my mind when on Monday, I got spammed by tons of web push notifications on my business laptop. Then, as a user, I didn't even look at them, I felt used and closed each one of them. Thanks to the capabilities of automatic campaigns, we have the ability to tag users according to their activity and send highly-targeted campaigns to increase the effectiveness of the notification. This is clearly visible, especially in my industry - travel. 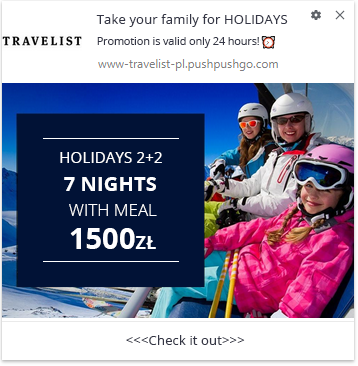 Why send information about super-promotion on holiday to a user who has already bought a stay for these dates? 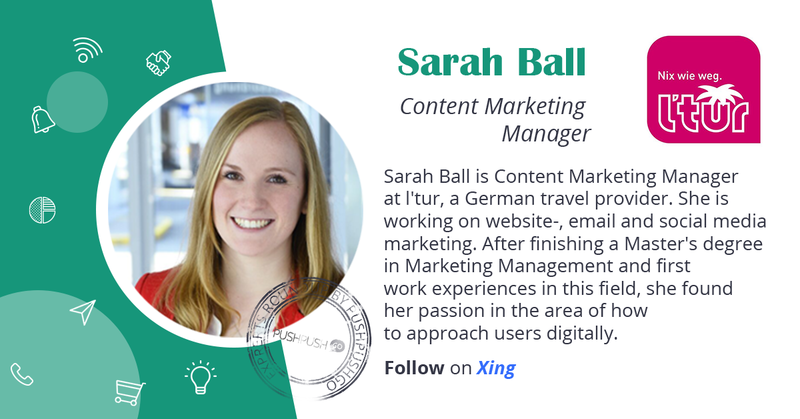 Using this information, we want to remind users about their latest activities and to personalize notifications to make the presented content interesting and inspiring for the journey at most. Web push notifications were a good addition to our newsletters, thanks to which we reached the users directly. The support of the web push campaigns provided us with a constant level of traffic to the website. 2019 is a year of transformation for us for making marketing decisions based on our analysed data. We will continue to work hard to become a data-driven company. Metabase and Google Data Studio are the most important for us when it comes to communication based on numbers. Our team grew by 500%. We still want to be agile and non-corporate because these are values that are permanently inscribed in our DNA. 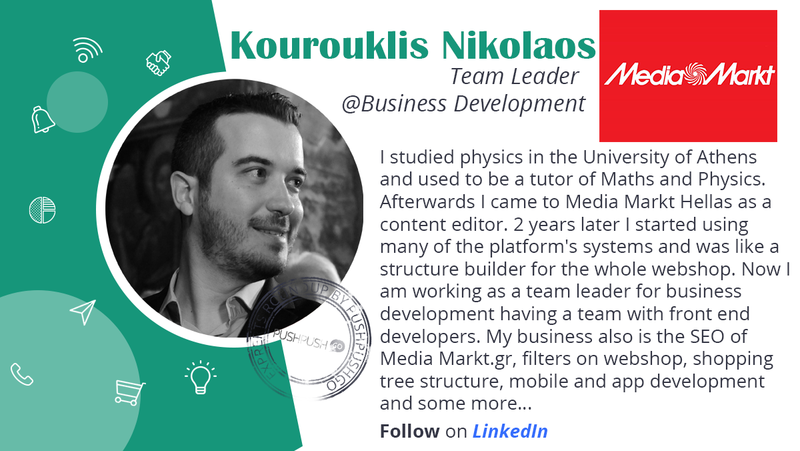 With a growing team, however, this has required us to make an extra effort to create effective ways to communicate and maintain what is most important to us, a flat company structure. Tools such as V2Mom or creating combined KPIs for Customer Success, Sales and Marketing departments have helped us a lot. We have increased the number of our paying customers by 400%. 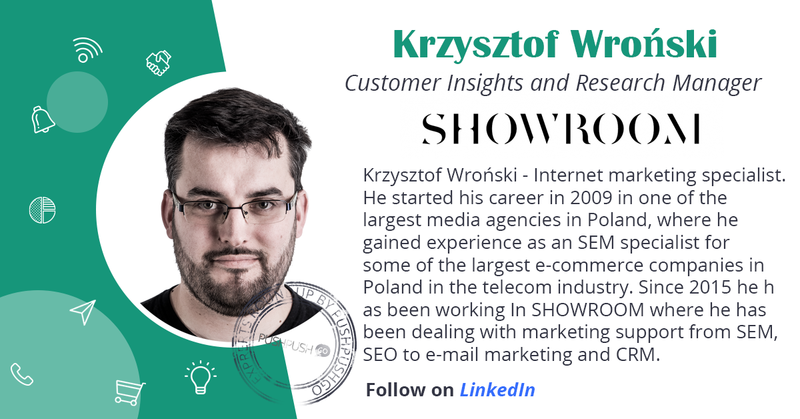 At the same time, we have once again defended our position as the leader of web push in Poland and we are boldly competing for the position of the leader in Europe with companies that have been on the market for several years now. 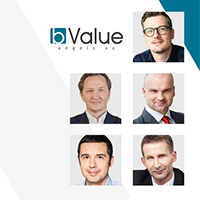 Thanks to another investment, we are present on 15 international markets and work with the biggest players: publishers, telecoms, marketplace and ecommerce platforms. This is an indication that in 2019 we must act harder and faster while staying motivated. Certainly GDPR and often unnecessary formal requirements imposed on entrepreneurs and marketers themselves. Long legal clauses, which negatively affect the number of conversions on websites or signing additional documents did not make the work easier for anyone. So far, there has been a lack of clarity as to where personal data begins and where it ends. Every lawyer can interpret the provisions differently. The regulation is also not adapted to the nuances in the functioning of Internet companies, because the people creating them did not have basic knowledge about the operation of Internet browsers. As a result, paradoxes arose in some companies, for example, an IP address constitutes as personal data and for others, it does not. 2019 is a year of transformation for us for making marketing decisions based on our analysed data. We will continue to work hard to become a data-driven company. Tools that we want to explore in particular are Amplitude, Metabase and Google Data Studio. The first one will give us an even better insight into what our clients do on our blog or in the application, and how it translates statistically into their future purchasing decisions. Once somebody reads our specific articles, it is more likely they will become our clients (conversion rate increases by 60%). Metabase and Google Data Studio are the most important for us when it comes to communication based on numbers, even for those team members who are not analysts. We will also explore various attribution models and channels for gaining contacts with our potential clients, such as lead ads on Linkedin or performance campaigns on Quora. Web push notifications allow us to quickly create very precise subscriber segments and detect the best moments to sell. Conducting such activities in real time is crucial for B2B companies because with such a large competition, lead response time must be as short as possible. Perfect configuration of our PushPushGo account also helps us present the platform's capabilities to potential customers who visit our website. In order to make sure that their marketing automation scenarios are correctly set up and configured, we offer a dedicated web push strategy for everyone who signs up for a free trial. In 2019, we will place the greatest emphasis on testing our hypotheses regarding web push campaign data using ABX tests. We also want to optimize the campaign with the help of dedicated heat maps, which as an integral part of the application will allow us to study the behaviour of our customers as soon as they clicked on a given web push notification. Numbers are really nice and we feel grateful for that, for sure we are going to further development and come back to PushPushGo with new needs, new ideas and new push notifications. 2018 was better than 2017 and we can handle it in order to be worse than the 2019s’. Numbers are really nice and we feel grateful for that, for sure we are going to further development and come back to PushPushGo with new needs, new ideas and new push notifications. The basic set up good as it is till now. ...web push notifications seem more relevant than conventional email marketing. The message is not lost in a crowded news feed or a number of received emails, but is directly visible on the screen. 2018 was again an exciting year for l’tur. The industry is so dynamic that it continuously brings up new challenges but also opportunities to face customers and to communicate with them. Their needs and preferences are changing and so do our marketing strategies. We are working in an agile environment which supports quick reactions and adjustments, so we are already working on new and innovative projects for the upcoming year. l’tur has always been different from its competitors. We are a brand that provides easiness and comfort because we want our customers to be worriless throughout their holidays. Simultaneously, we are rather provoking and humorous in our marketing communications which is why we are planning on checking tools that allow us direct and personalised contact with our users. In 2018 we started to integrate web push notifications in our marketing strategy because it is a tool which allows us to pop up in the user’s mind whenever we have something interesting to communicate. It allows us to reach users on their mobile devices and provide them with a mix of automated and customised messages. To give a precise example, we sent a web push notification for our Black Friday discount - here we thought our users would be overwhelmed with all the Black Friday promotions, however, we achieved one of our best click-through rates and sales contributions which are an evidence that web push notifications seem more relevant than conventional email marketing. The message is not lost in a crowded news feed or a number of received emails but is directly visible on the screen. Our subscriber base is continuously growing and from our reports, we could already conclude that those subscribers are truly interested in our content, have a better click-through rate and contribute to sales. We tested and optimised several ideas and approaches in the last months and will continue to do so in 2019. One big milestone is to work more intensively on the segmentation and notifications which are more based on user-behaviour and preferences. A surprise (although expected for many years) was the mobile traffic which increased significantly compared to previous years… I think that the main challenge for the coming years will be to take advantage of this trend and respond as quickly as possible to the needs of users. The year in SHOWROOM was a year of many changes, tests and organizational turmoil, but overall it can be considered successful. A surprise (although expected for many years) was the mobile traffic which increased significantly compared to previous years. This proves the growing awareness of users, who know that a smartphone does not have to be used only for text messages, calling or using social networking sites, but more and more often use it for shopping, searching for attractive offers or recommendations. I think that the main challenge for the coming years will be to take advantage of this trend and respond as quickly as possible to the needs of users. First of all, personalisation. Users like to see when something fits their style, preferences, when they don't have to browse hundreds of pages to find something for themselves. It fits perfectly into the idea of SHOWROOM, where the main goal is to distinguish clients. Web push notifications have made it very accessible and easy to reach users no matter where they are. Almost immediately we were able to present our offer to the users, as well as respond to their needs. As I mentioned in the previous point, the biggest challenge will be further personalisation, which will make the user trust us, feel appreciated and be sure that what we present them with is exclusive and unique in its kind. We treat web push notifications as another channel of informing users about offers and promotions on the site... Due to a large database of subscriptions to notifications, the key issue for 2019 will be appropriate targeting of notifications. 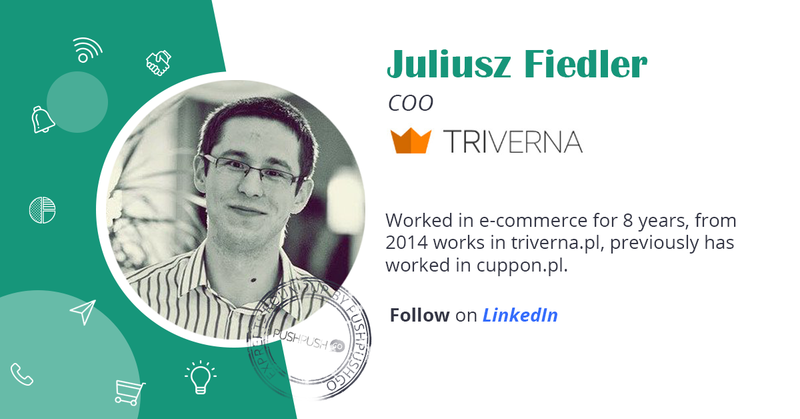 2018 was a successful year for Triverna.pl. First of all, we carried out the first advertising campaign in the history of the service on TV, which brought a dynamic increase in the visits to the service and brand awareness. In combination with the work on improving usability, which has been carried out since mid-2017, we have achieved a nearly threefold increase in the value of bookings made on the website. In the context of web push notifications, the key was a replacement of our own notification technology with the one provided by PushPushGo - more reliable and more powerful. In 2019 we want to maintain dynamic growth in the number of users and bookings. We have planned further TV advertising campaigns. At the same time, we will work on adjusting our offers to the user's preferences in order to personalize the marketing message as much as possible. We assume the use of marketing automation tools in combination with our own algorithms of presenting offers to users. We develop cooperation in an affiliate model - the sale of offers by partners has been an important channel since the beginning of the website's existence. For example, since 2018 our offers have been available for Medicover Benefits users. We treat web push notifications as another channel of informing users about offers and promotions on the site. It was important to launch the service before the TV campaign - during the period of increased traffic and the inflow of new users to the service, we recorded an increase in subscriptions at the level of 1000 per day. Due to a large database of subscriptions to notifications, the key issue for 2019 will be appropriate targeting of notifications. We are very satisfied with the cooperation with the Facebook advertising campaign tool provided by RoiHunter. We are also considering tools similar to Feedink... The main focus this year will be product advertising automation. In general, automation of all possible processes is the key to efficient tool usage, especially if it is a tool for generating Web Push Notifications. 2018 was another successful year in which we managed to maintain more than satisfactory growth. Adequate diversification of traffic sources allowed us to control the quality of traffic that we direct to our customers. 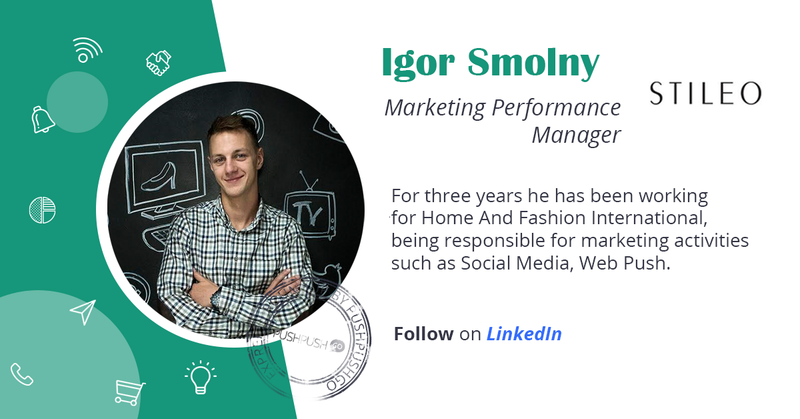 For us, as an aggregator of Fashion and Interior Design stores, it was a big challenge to assure the best high-quality traffic. The key to achieving these two convergent goals was precise and an appropriate contribution of sources. Our plans include further development of the tools currently in operation - making the most of the opportunities offered by current marketing platforms. Despite the high level of development, we know that we still have a lot of unused space, which may enable further expansion. However, like any other company, we cannot stand by only current advertising platforms and tools, so the biggest challenge in 2019 will be to find new tools that will allow us to attract new users in a more efficient way and reach our current customers more effectively. We are very satisfied with the cooperation with the Facebook advertising campaign tool provided by RoiHunter. We are also considering tools similar to Feedink. Web Pushes work for us to prepare for events such as season changes or Black Friday. In such cases manual campaigns are perfect. The main focus this year will be product advertising automation. In general, automation of all possible processes is the key to efficient tool usage, especially if it is a tool for generating Web Push Notifications. 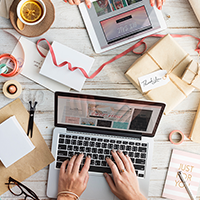 Marketing and e-commerce trends for 2019!